Did you or your computer “upgrade” Windows 7 or Windows 8.1 to Windows 10 recently, and you want your old OS back? Then this is what to do. 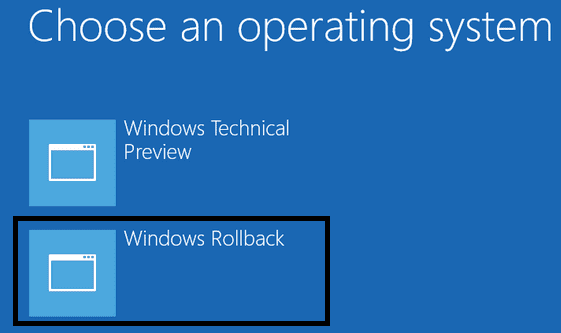 If it’s been less than a month since you upgraded to Windows 10, you can go back to your previous version of Windows by going to Settings > Update & security > Recovery and selecting either Go back to Windows 7 or Go back to Windows 8.1. This won’t affect your personal files, but it will remove any apps you installed after the upgrade to Windows 10. If it’s been more than a month, this option won’t be available in Settings and you’ll need to use a different recovery option. Once rolled back, you are going to want to make sure Windows 10 does not keep trying to upgrade to Windows 10, so follow these instructions. Don’t be surprised to see the “Upgrade to Windows 10” box already ticked. Untick the box and right click over the update, selecting “Hide Update” option, the update should turn grey and be disabled…for now, until Microsoft roll out their next dirty trick. 4. Exit the command prompt. 5. Terminate the GWX.exe process using Task Manager. Moreover rename the GWXUXWorker.exe and GWX.exe to .old as suffix from directory location:- Windows\System32\GWX, if getting any issues while renaming then give the system permission’s to respective files and then try to rename it again. OR you can delete the entire directory folder. Method 2: Please follow the below steps to hide an update. 1. Open the Control Panel (icons view), and click/tap on the Windows Update icon. 2. After Windows Updates or you check for updates, click/tap on the update(s) is available link. 3. Right click or press and hold on a listed Windows Update that you want to hide, then click/tap on Hide Update. 4. If prompted by UAC, then click/tap on Yes or enter the administrator’s password. 5. You will now notice that the now hidden Windows Update is grayed out. Repeat steps 3 and 4 to hide another Windows Update. When done, click/tap on OK.
Also refer the suggestion by Arun BJ from the following link and check if it helps. The update above has a slight problem where people complain it keeps reinstalling itself. It’s not really reinstalling by itself, it’s just that this update has several versions that may be installed on your PC. I read at other sites that this update could be installed on your PC multiple times in several different versions and had elaborate code to uninstall them but all you need to do is written below. Run the above CMD code over and over until you get a message saying it can’t find it. I needed to run it 4-5 times, you don’t need to know the version numbers. This one CMD removes 1 version at a time until it can’t find any. You would think it would remove every version with 1 CMD but NOOOO ! rolling back from windows 10 to windows 7 is very problematic. i know from first hand and other user who got “tricked” into installing 10, trying to roll back to windows 7 bricked my laptop. very expensive reimage from the server luckily. i have done Windows 10 upgrades on a number of +5 yr old windows 7 machines without a problem. i just had to install the windows 8.1 drivers if they didnt have Win 10 drivers available from the manufacturers.